NEWARK, New Jersey -- A New Jersey man already charged with killing two women was charged Monday with killing a third and attempting to kill a fourth. A grand jury indicted Khalil Wheeler-Weaver, 20, in the deaths and sexual assaults of the three women between September and November. 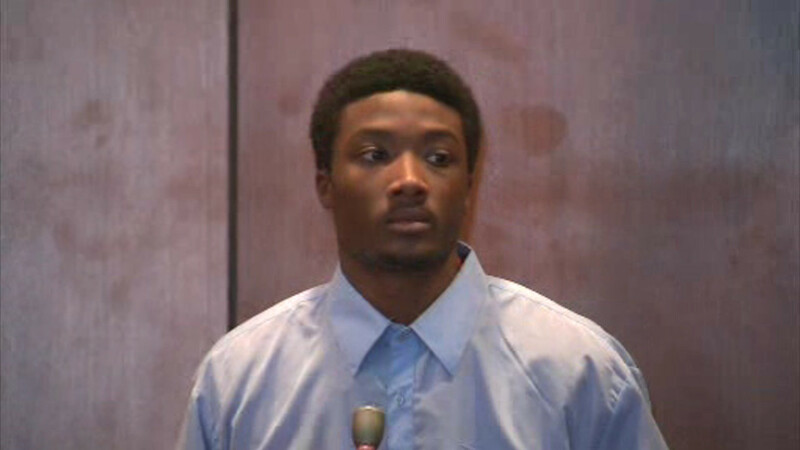 He previously pleaded not guilty to charges he killed two of the women. Defense attorney Shevelle McPherson said in December the evidence was circumstantial. She didn't return a phone message left Monday seeking comment. Wheeler-Weaver remains jailed on $5 million bail. He is charged in the deaths of 20-year-old New Jersey City University student Sarah Butler, of Montclair; 33-year-old Joanne Brown, of Newark; and 19-year-old Robin West, of Philadelphia. Butler was reported missing Nov. 23, and her body was found buried under leaves and debris in Eagle Rock Reservation in West Orange on Dec. 1. Brown was last seen Oct. 22 in Orange, and a work crew found her body Dec. 5 at a vacant house in Orange. Wheeler-Weaver was charged in their deaths in December, and the grand jury Monday charged him with killing West. Investigators said he killed her on Sept. 1 and then set fire to the vacant house in Orange where he dumped her body. He was charged with attempting to kill a 34-year-old woman in November, but investigators said she survived. She was treated at a hospital and released.